We strongly encourage attendees to make their hotel reservations as early as possible. 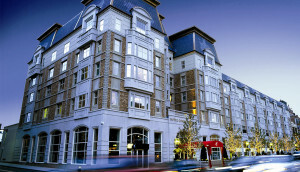 A block of rooms have been reserved at the Hotel Commonwealth at a preferred guest room rate of $279/night. Book early! When booking please identify yourself as part of the Questrom School of Business – Branding & Brand Relationships. Since the era of the 18th-century clipper ship trade, Boston has been a leader in world commerce. The region has a longstanding reputation for finance, health care, science, and technology, with new ventures in the areas of biotechnology, medical instrumentation, and multimedia services. World-renowned businesses such as Fidelity Investments, Genzyme, Gillette, John Hancock, New Balance, Raytheon, and Reebok are located here. Boston’s prestigious academic institutions, think tanks, and nonprofit organizations are internationally acclaimed. Compact, charming, and historic, Boston is big league in every sense but size — easily explored by foot or via public transportation. The Massachusetts Bay Transit Authority — a.k.a. “the T” — provides quick, convenient access to numerous attractions, from the North End (home of Paul Revere) to Harvard Square. Hotel Commonwealth, 500 Commonwealth Avenue, is a luxury Back Bay boutique hotel offering elegance and style in downtown Boston. The grand cornerstone of Boston’s Kenmore Square, Hotel Commonwealth features gracious hospitality with classic style. 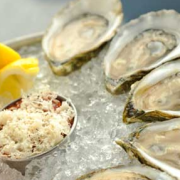 Just steps away from world class medical institutions, the Back Bay, Red Sox games at Fenway Park, and Boston’s many cultural and historical attractions, luxurious Hotel Commonwealth is a relaxing and elegant oasis for an urban adventure or business gathering. Call toll-free at (866) 784-4000 (in the United States and Canada) or (617) 532-5019 to be able to take advantage of your discounted group rate. You can also make your reservation via e-mail at allreservations@hotelcommonwealth.com Mention Questrom School of Business – Branding & Brand Relationship to receive group rate. *mention BU Questrom School of Business – Branding & Brand Relationships. Reservation after Monday, 23 April, 2018, reservations will be handled on a rate availability basis. Affectionately known as “America’s Orchestra,” the Boston Pops is the most recorded and arguably the most beloved orchestra in the country, beginning with the establishment of the modern-era Pops by Arthur Fiedler and continuing through the innovations introduced by John Williams and the new-millennium Pops spearheaded by Keith Lockhart. 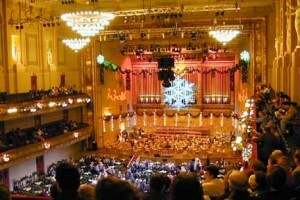 According to Lockhart, “The Boston Pops Orchestra performs the best music of the past and present, appealing to the widest possible audience with a broad spectrum of styles, from jazz to pop, indie rock to big band, film music to the great American songbook, and Broadway to classical, making it the perfect orchestra for people who don’t know they like orchestras!” Join the Boston Pops in Boston’s historic Symphony Hall, designed by McKim, Mead & White. Visit the park where the Babe pitched, The Kid hit, Yaz dazzled and today’s stars still thrill Red Sox Nation. Fenway Park Tours provide a 50 minute historic walking tour of the ballpark, guided by an official Fenway Park Tour Guide. Or, try to get tickets to a game. The neighborhood is filled with fun sports bars if you can’t score a ticket! Take a trip to exotic waters and experience more than 70 exhibits featuring aquatic animals from around the world. 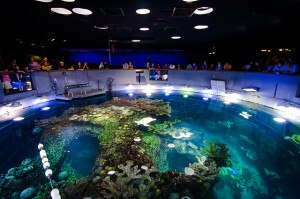 Greet the African penguins as you enter, feel the smooth wing of a cownose ray and then wind your way around the four-story Giant Ocean Tank, home to a huge Caribbean coral reef. Go out back to see the Northern fur seals in action in their open-air exhibit, and be sure to visit the Atlantic harbor seals out front. 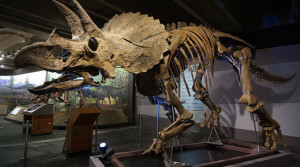 Long respected as a leader in science education, the Museum of Science promotes thoughtful participation in today’s increasingly technological society. With over 700 permanent exhibits, and an ever-changing cavalcade of touring exhibits, films, and shows, groups can encounter the fresh and unfamiliar, ask questions, and actively address the provocative issues raised by innovations in science and technology. This is the closest Starbucks: easily accessible, on the second floor. Café G, located inside the Isabella Stewart Gardner Museum located next door to Simmons College on The Fenway has served up an inspired lunch menu and award-winning desserts—including a seasonal bread pudding named “Boston’s Best Indulgence” by The Improper Bostonian—under the leadership of Chef/Owner Peter Crowley. A graduate of The Culinary Institute of America, Crowley has earned accolades from the media and patrons alike for his innovative and elegant culinary delights. 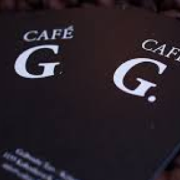 Café G is a great place to grab a coffee and relax during the conference. 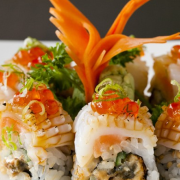 Basho Japanese Brasserie, serving the freshest and most high-quality ingredients and sushi (flown in daily from around the world). With a variety of seating options—from communal tables, a private dining “cocoon” and intimate corners to a sushi bar, raw bar and sleek, wraparound liquor bar—Basho pulses with the raw energy of the city from opening to close. The Citizen Pub is a modern neighborhood tavern located behind Fenway Park. The Citizen Pub menu is a fresh twist on Tavern Cuisine. The bar features craft cocktails, world-class wines, a selection of 75 whiskeys and local micro-brews. We serve our full menu every night until 12:30 AM in a friendly and inviting atmosphere. Drop by and join us anytime. 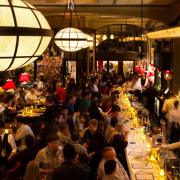 Eastern Standard is an American Brasserie located in the heart of Kenmore Square, featuring a heated patio and the longest marble bar in Boston. At Eastern Standard we strive to re-create every guest’s expectations. As you enter the restaurant you will be warmly greeted by a staff whose main goal is to make your dining experience among the best you have ever had. Guests can depend on the eclectic wine list to be approachable and unpretentious. We offer a full bar featuring 61 delicious classic cocktails from around the world and Eastern Standard originals. From the house made Charcuterie to the sweet and spicy Banana Rum Savarin, your dining experience at Eastern Standard will keep you coming back again and again! Cask ‘n Flagon began as a small neighborhood bar known as Olivers. What was once known as the little bar on the corner of Brookline Avenue is now a landmark location for diehard Red Sox fans, college students, locals and tourists. Mention the Cask ‘n Flagon anywhere, anytime to anyone and chances are they have probably been here. 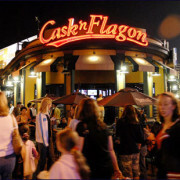 Many have said that the Cask ‘n Flagon is as synonymous to Fenway Park as the infamous Green Monster and the Citgo sign. After thirty-five years, the Cask’n Flagon still holds the heart of Boston. Its walls are filled with black and white photographs of old time baseball greats. Through the memories, in these photographs, history comes alive. With its nostalgic atmosphere, outstanding staff and its commitment to the best customer service possible, the entire team at the Cask ‘n Flagon is determined to provide you with a great experience no matter what your occasion may be. Boston has an international airport, Logan International Airport. The car ride from Logan to the Questrom School of Business campus is usually 15-30 minutes depending on traffic. A cab should cost between $20 and $30. There are taxis readily available outside the airport terminals. Rental cars are also available at the airport, but on-street parking in Boston is difficult and garage parking is expensive. Boston is a very walkable city, so you may not need to have a car while you are here. Boston is also accessible via Amtrak train from Penn Station in New York. You may also take the MBTA subway train from the airport. The nearest T station to the Questrom School of Business campus is Museum of Fine Arts (5-minute walk). From the airport you will take the silver line train to Arlington Station. There, you will switch trains MBTA green line E train (Heath Street) to the Museum of Fine Arts stop. Turn right onto Louis Prang Street. From here you can see Simmons green cupola. Walk past the Isabella Stewart Gardner Museum on the left. Simmons College, 300 The Fenway, will be on the left. Boston is a very walkable city, so you may not need to have a car while you are here. Four miles from Logan Airport and blocks from the financial district, Charles River, trendy Newbury Street and Fenway Park. Our remodeled hotel offers indoor walkways to the Hynes Convention Center, The Shops at Prudential and Copley Place.